Juan-Les-Pins is a gorgeous town in the French Riviera, that lies between Cannes and Antibes, and sprawls over 2km of sandy beaches. The town is well known for the International Jazz Festival, Jazz à Juan, which last year featured names such as Tom Jones and Norah Jones, and celebrates Juan-Les-Pins’ link with its sister town, New Orleans. 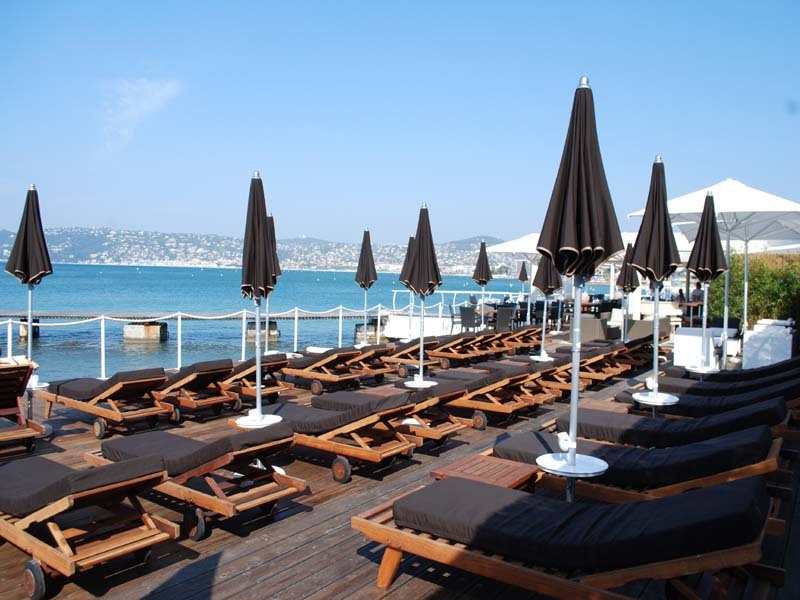 In the summer, Juan Les Pins is a bustling hotspot, with cafés, clubs, restaurants, bars and beaches, which draw in visitors throughout the long summer season. The bars in the evening are perfect for people-watching; for example you can take a trip to Pam Pam to enjoy some fun cocktails in the warm summer air. setting. Whether you choose to relax on a sun lounger and enjoy a light snack with a glass of the local Côtes de Provence rosé or indulge in a sit down lunch or dinner with freshly sourced local produce, created by the chef Jean-Laurent Depoil, who is inspired each day by the possibilities that seafood dishes offer. In the late evening, the lounge bar is perfect for sitting with friends and sipping champagne with a gorgeous view of the sunset. of 2 will cater to your needs and what you want to do, and will look after you while you spend your days in the sun. The flybridge is perfect for topping up your tan, and the deck space offers a fabulous location for dining – perhaps an al fresco breakfast in the morning light? Plan your visit to the French Riviera today. 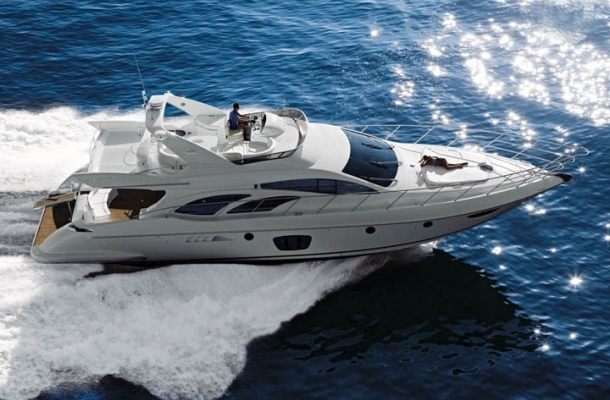 At www.boatbookings.com, we are here to help you plan your perfect luxury yachting holiday. 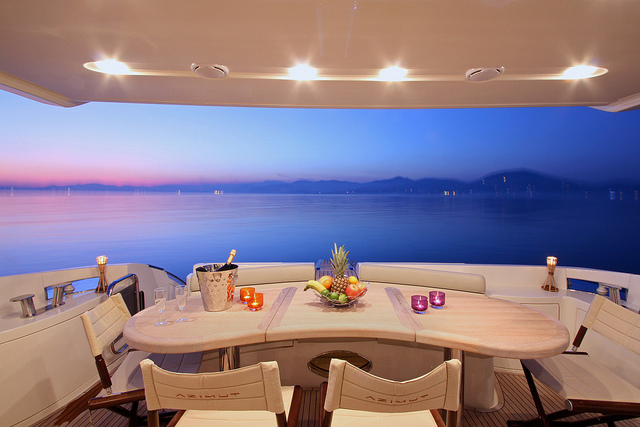 We have a team of highly skilled professionals who are extremely knowledgeable in their destinations and will be able to help you bring together the yacht, the crew and all the other aspects that make your charter special. At Boatbloggings we will keep you updated on the latest industry show releases, news and gossip in the yachting world. If you are looking for more information on yachts, charters and other yachting gossip, please become a fan and like our Facebook page to receive up to date information on our publications. Follow us on Twitter and Google Plus too.